There’s really nothing as satisfying as a crunchy, salty snack. When the mood strikes, there seem to be few things more appealing than diving head first into a bag of chips or salty nuts. Of course, salty snacks can become pretty dangerous pretty quickly and it’s always hard to find pre-made, packaged snacks that aren’t made with mystery ingredients like natural or artificial flavors and processed vegetable oils. One of the local grocery stores I shop at makes absolutely delicious packaged cajun plantain chips. Unfortunately, they’re cooked in vegetable oil and contain some additional ingredients I’m not too excited to put in my body on a regular basis. 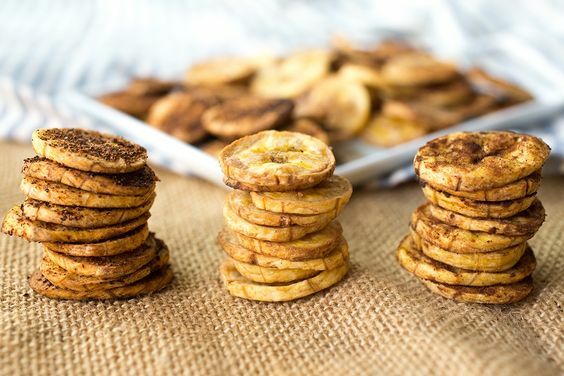 Thankfully, homemade plantain chips are extremely easy to make and require very few ingredients. Not to mention, they are so versatile, so you can really experiment with different flavors. Want to make some slightly sweet ones for the kids and a spicy variety for the adults? No problem! In just one batch you can create three or more varieties! For this batch, I’ve made Sea Salt, Cajun and Cinnamon Sugar. Preheat oven to 400° and line one or two baking sheets with parchment paper. Chop off both ends of each plantain. Using a sharp knife, gently slice down the side of the plantain, being careful only to slice the skin and not going too deep to slice the plantain itself. Slice down two sides of the plantain and gently pull away the skin. Slice the plantains very thinly and evenly and place in a medium sized mixing bowl. 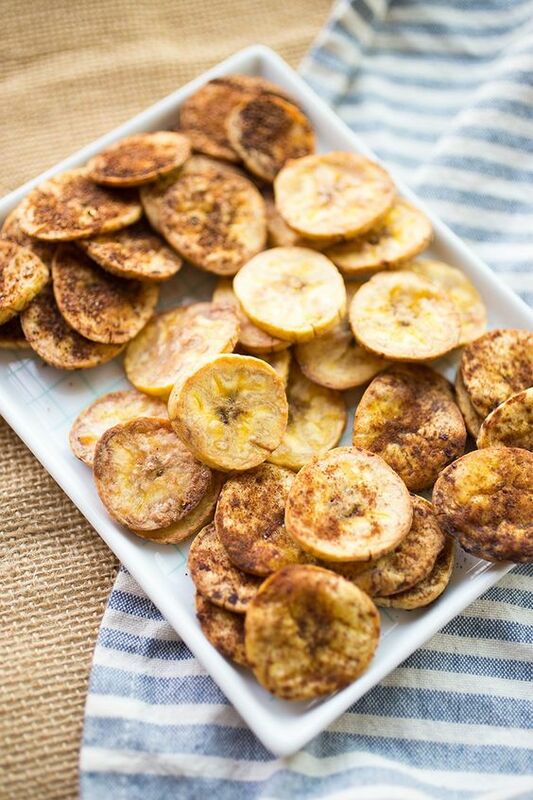 Add melted coconut oil and mix to coat each plantain slice. Set aside. In thee small bowls, mix up each seasoning mix. Add a third of the plantains to each of the seasoning bowls and mix until both sides are coated in seasoning. Line up all plantains on the parchment lined baking sheet and bake for 20-25 minutes, flipping at the halfway point. Hahaha, yes I feel you. They are amazing. Can these be done In a dehydrator instead? You can try it, but I haven’t done it so I cannot guarantee how they will turn out. It should work, though. 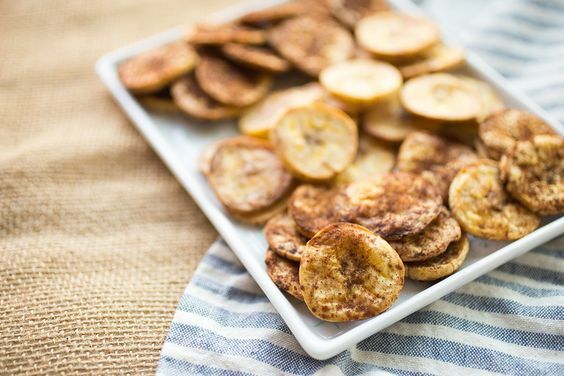 Just make sure you slice the plantains as thinly as possible! Personally, I stored them in an air tight plastic baggie and they stayed fresh on my counter for about 3 days. They might stay fresh for longer than that, but I ate them before I could figure that out! Hopefully that helps! Will this work with yellow plantains?